Rooty Toot Ranch is a Travelin' Petting Zoo! We bring the "farm life" to you! We are FULLY MOBILE, USDA Licensed (required by law with ANY petting zoo) & fully Insured. 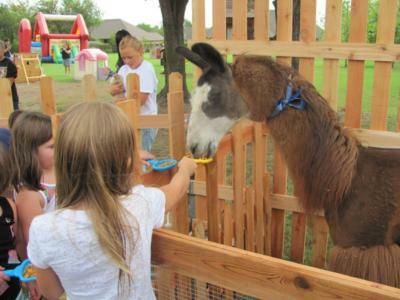 We have a variety of farm animals to make YOUR day special! Llama, Alpaca, Pot Belly Pig, Sheep, Goats, Geese, Ducks, Exotic Chickens, Miniature Ponies, Bunnies, and a miniature donkey! Hand-Led Pony Rides too by one of our official Cowboys! All of our animals are clean, safe and ready to be loved! Birthday Parties ~ Company Picnics ~ Reunions ~ Church & School Events ~ no event is too large or too small for us! We provide custom party packages to help you fit your budget or need! You can find us on Facebook. Contact us today and schedule your Pony Party (usually decorated safely to the theme of your birthday party), Bunny Party or Petting Zoo! We look forward to making a memory that will last a LIFETIME! 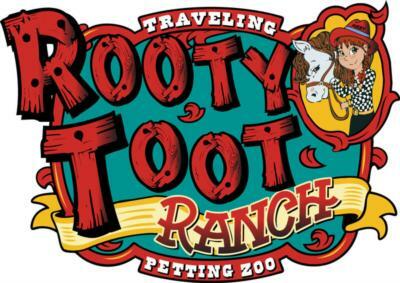 Please note Rooty Toot Ranch ~ A Travelin' Petting Zoo will also travel to Jenks, Broken Arrow, Oakhurst, Glenpool, Bixby, Kiefer, Leonard, Sapulpa, Catoosa, Mounds, Sand Springs, Coweta, Owasso, Sperry, Beggs, Kellyville, Collinsville, Haskell, Redbird, Skiatook, Inola, Prue, Claremore, Mannford, Preston, Porter, Slick, Vera, Morris, Oologah.